Mr. Julio Fuster focuses on implementing of innovation, entrepreneurship and competitiveness projects and programs funded by international institutions, such as the European Union, the World Bank, the Inter-American Development Bank, the United Nations Agency UNIDO, etc. 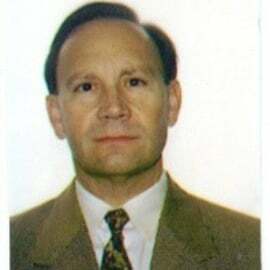 He has led as Expert and project manager in more than 200 technical assistance and consulting projects in more than 90 countries in English, French, Spanish, Portuguese and Russian. He is an expert in the design, implementation and evaluation of innovation programs and/or hubs/centers for SMEs (small and medium enterprises). He has been a Principal and Senior Consultant with Booz-Allen & Hamilton, Price WaterhouseCoopers and AT Kearney, before starting his own firm in 1999 as Corporate Solutions Spain. In 2005 his firm joined as Innovation and public sector practices to Atlanta-based project management consulting group TenStep, with 45 affiliated firms worldwide. He has recently led a two-year assignment for Turkish entrepreneurs and innovators (EU), a program to support innovative SMEs in Guatemala (IDB), and designed and conducted a pre-feasibility for the first innovation park in Burkina Faso in West Africa.